poolife® 3″ Cleaning Tablets Stabilized Chlorinator are similar to poolife® 1″ Cleaning Tablets Stabilized Chlorinator, only different in size. The tablets are slow dissolving and long lasting and kill bacteria, control algae and protect your pool’s chlorine from sunlight degradation. When using poolife® Cleaning Tablets Stabilized Chlorinator, shock treat at least once a week using poolife® TurboShock® shock treatment or poolife® Rapid Shock® shock treatment. 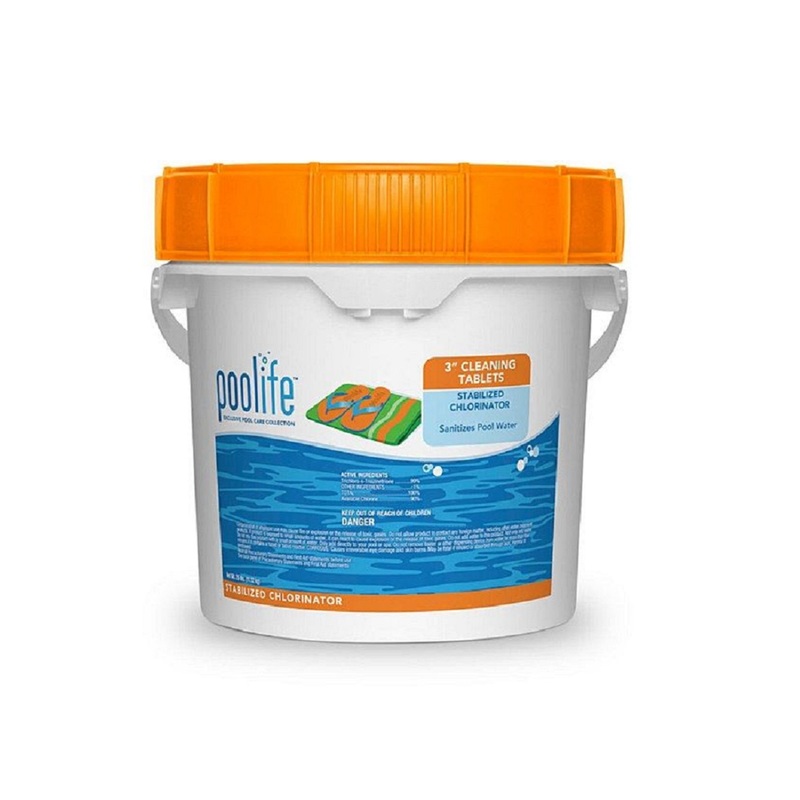 poolife® 3" Cleaning Tablets Stabilized Chlorinator are similar to poolife® 1" Cleaning Tablets Stabilized Chlorinator, only different in size. The tablets are slow dissolving and long lasting and kill bacteria, control algae and protect your pool’s chlorine from sunlight degradation. AVAILABLE SIZES: 4.8 lbs. / 9.5 lbs. / 25 lbs. / 50 lbs.